Listen to a roaring beach storm, with crashing waves, high winds, rain and heavy thunder. 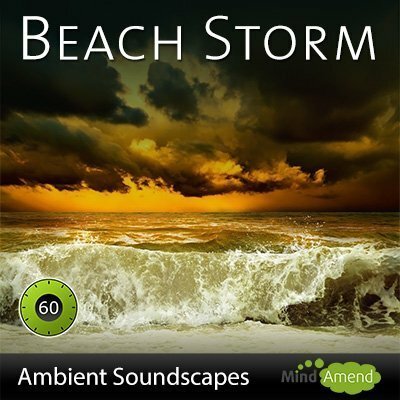 Download the full 60 minute high quality Mp3 version of the Beach Storm soundscape. The Mp3 version also comes complete with a nice cover graphic, that'll look great in your digital music library.